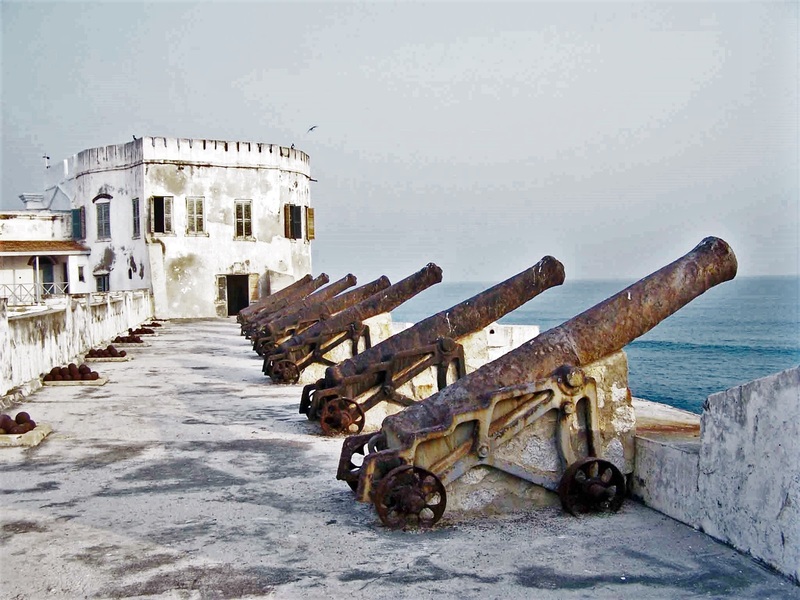 The Cape Coast Castle is about 3 hours drive away from Accra, the capital of Ghana. Cape Coast entrance fee as at the time of visit was USD7 per person (for Foreigners). The Cape Coast castle opens between the hour of 9:00am to 4:30pm daily. 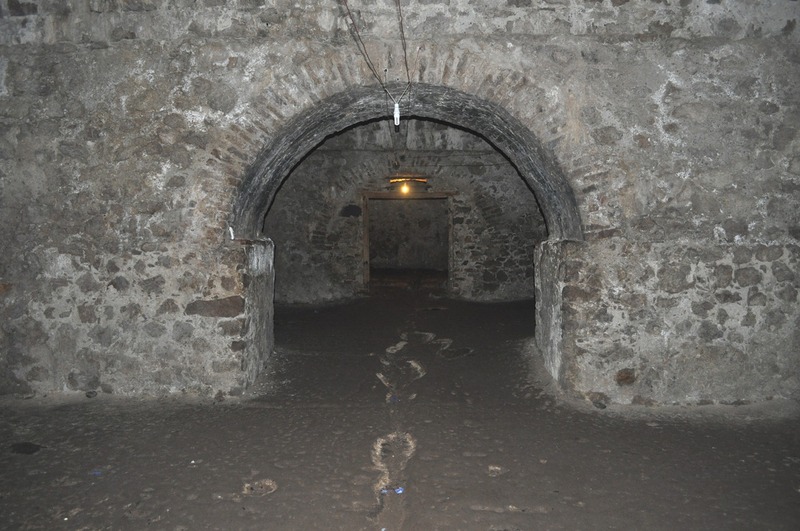 You will be divided into groups and thereafter appointed a Tour Guide who will take you round and share with you the history of slaves who were kept in the Castle. 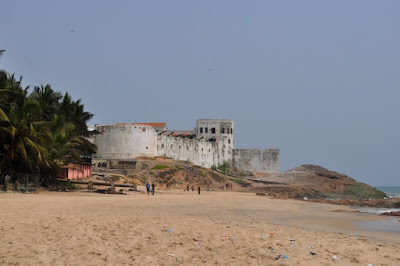 In summary, the Cape Coast Castle is an ancient and historical structure where Africans were enslaved and shipped in the Caribbean to North America and other places in the world. 1000 enslaved Africans were shipped year by year. About 60,000,000 Africans were enslaved. 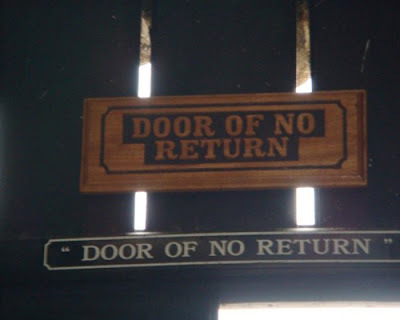 In the castle, there is a door called the door of no return. Every Slave who went through that door had no chance of returning. If you are a very emotional person, it is not advisable for you to visit, but c'mmon! no knowledge is a waste. It's all about History. The Slave trade Castle holds a lot of history and education about the slave trade. It's good you visit so you can have a background knowledge on things that happened to Africans back then. It is a very busy place where you will find a lot of tourist trooping in and out and of course, it is an avenue of meeting new people and learning other peoples culture and lifestyle(If you are friendly enough). There is a museum in the Castle where you would also be taken to. Pictures are not allowed to be taken in most part of the museum. Are you planning a trip to Ghana? Then you should add this to your fun itinerary and don't hesitate to thank us later. Feel free to share with us your travel/fun experience on dewoyinesther@gmail.com for onward publishing so that others can benefit from it.